Eight year old Kevin lives with his mother, the super of an eight story brownstone in New York. The building was erected in the late 1800s, and as his mother was overseeing some renovations in the basement, a bricked up office was discovered. Decades of flooding ruined everything inside the hidden room, but Kevin found a rusted locket that he chose to keep. One night while he as playing on the roof, he dropped the locket and out spilled a bright light. 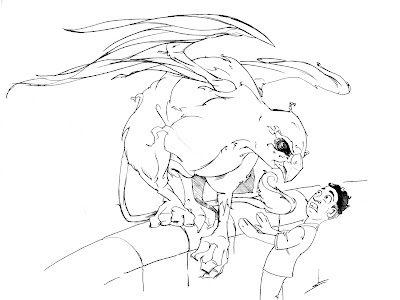 A whoosh of air circled him and on the ledge appeared a griffin. Needless to say he was a tad freaked out. 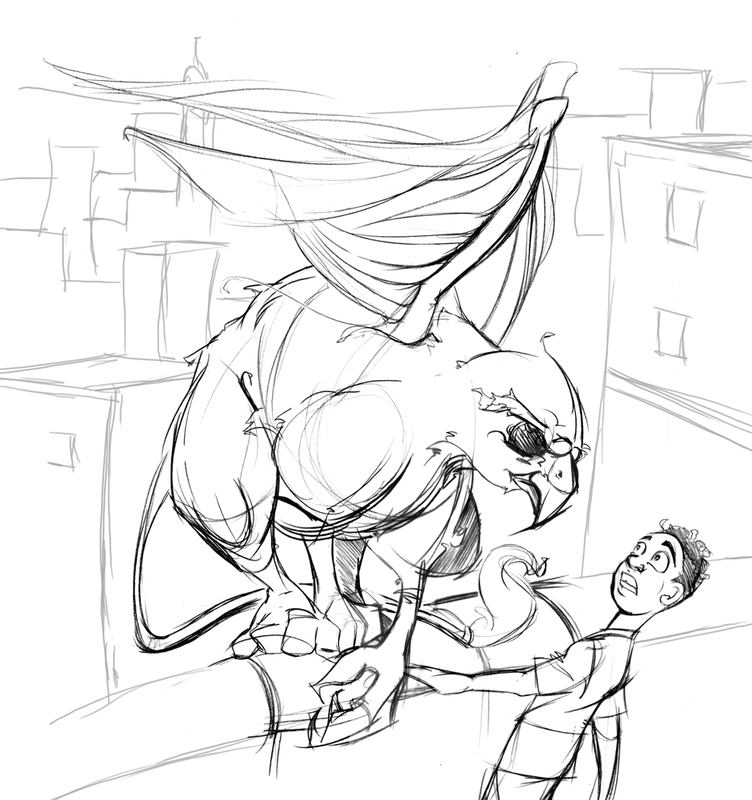 This is sort of a concept sketch for a story that seems to be appearing in my head. I wanted to get it out on paper before I forgot any details. 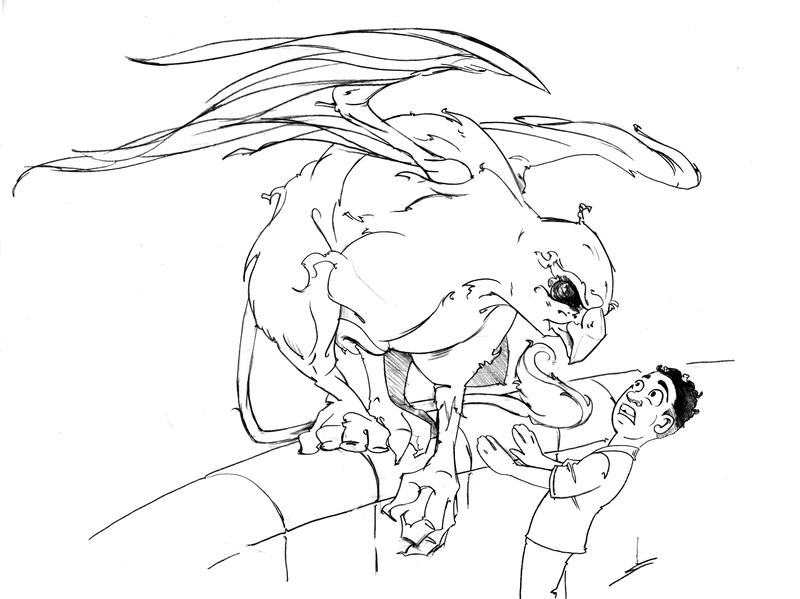 The griffin isn't a pet, though at first Kevin thinks of him that way. Early communication is stunted at best and the beast gets irritated with the boy, but he does not seem to want to leave him alone. That and the griffin has a thing for almonds, something Kevin seems to always carry around with him.